It is important to remember that the natural state of all living things is EASE. Each of us is capable of finding our way back from physical, emotional, and chemical stress overloads to our natural state. This journey is called HEALING. 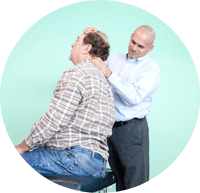 Healing is what we are all here for, and the purpose of NSA is to assist you in your process by removing interference in your nervous system with gentle, honoring spinal entrainment. Healthy people have spines that are softer; more supple, and have more breath than people who are not as healthy. With Network Spinal Analysis, it is possible to restore this softness and breath to persons of any age or conditions. All bodies naturally return to a state of more ease when the blockages are removed. No matter what else we do for ourselves (diet, exercise, drugs, meditation, etc.) our body and mind function more effectively when there is less distortion and less tension in our spines. What is truly remarkable about this study is that 76% of the people who were under Network Care reported that they had improvement in every single category of wellness listed above! If you have any questions you can reach us on the “Contact Us” page and we will respond promptly.